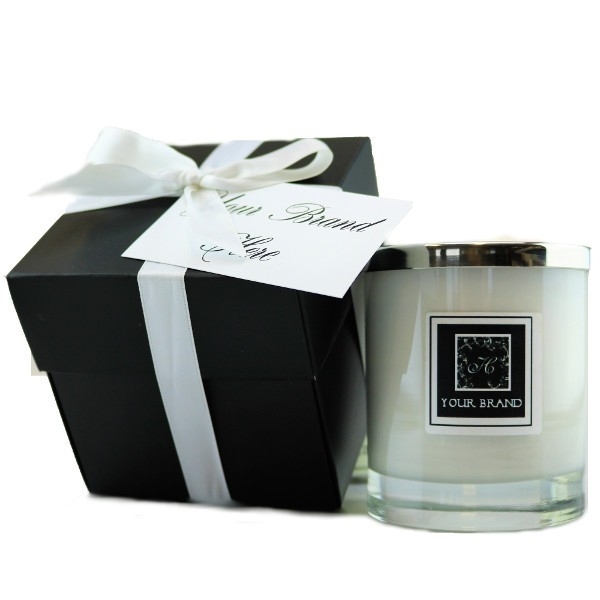 Our stunning white glass candle is both stylish and classic. Hand poured by a highly skilled work force, it's scented with a fine fragrance from a range of on-trend scents it makes a beautiful addition to any home. It has a 40 hour burn-time and can be left plain or can be branded with a full colour logo, message and/or design of your choice if you wish.